Hackers really like their tools. This leads to holy wars over languages, editors, keyboards, and even laptops. The problem with laptops is that they age, and not always gracefully. [Syonyk] likes his ThinkPad T430S, except for one thing, its TN display wasn’t really very good. These flat screens use an older technology and show color changes with different viewing angles among other problems. So he managed to upgrade the device’s screen to IPS with the help of a replacement screen and an adapter (see right). Apparently, many similar ThinkPads can take the same sort of upgrade. The problem is that the laptop uses LVDS to talk to the TN screen, while newer screens are likely to use Embedded DisplayPort (eDP) which is a different protocol entirely. However, there’s now a converter that [Syonyk] found on eBay (from China, of course). 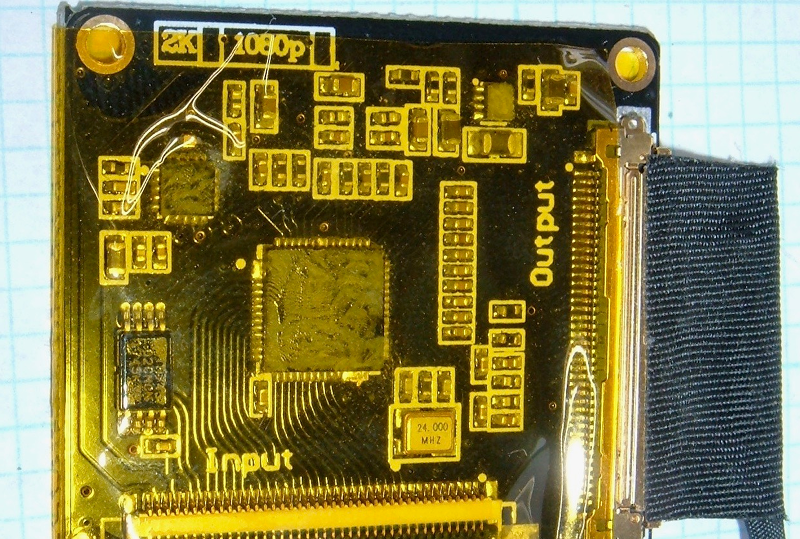 For about $70, the motherboard’s LVDS output can transform to eDP. Of course, you also need an IPS display panel. The Thinkpad X220 is almost a perfect laptop. The X220 is small, light, was the last small Thinkpad to use 35W CPUs, has great Linux support, incredible battery life, and can be found used very inexpensively. For the Thinkpad Mafia, the X220 is a badge of honor, but it does have one glaring drawback: the LCDs in these laptops are capped at 1366×768 resolution. A few wizards in Japan and China have taken up the X220 and developed an adapter to give this tiny laptop the display it deserves. Mentions of a FHD mod – the Lenovo-speak for a Thinkpad display upgrade – can be found on Taobao, but the anglosphere doesn’t get these cool toys. [Vectro] decided his X220 wasn’t up to snuff and decided to build his own Thinkpad mod to give his trusty companion a bigger and brighter display. He succeeded, and did it in a way that’s much better than any previous attempt. Stock, the X220 uses an LVDS bus for internal video, and there aren’t enough lanes on this bus for a 1080 display. The usual way of modifying the X220 for a display with higher resolution is tapping into the eDP present on the Thinkpad dock connector. [Vectro]’s solution differs slightly from the usual way of doing things – instead of using an I2C EEPROM to report the resolution, DPI, and model of display, he’s using a microcontroller. This gives him the ability to control the power state and brightness level of the display. It’s a great solution, and is designed to be a relatively easy drop-in mod. The new display works, and Thinkpadding at 1080 is awesome, but there’s still work to be done. The dock connector is incompatible with this mod, and hopefully scaling this up for small-scale production. Producing a few X220 FHD kits is going to be a problem, as each wire in the eDP cable is individually soldered to the connector. It doesn’t scale well, but there is certainly a demand to make the greatest Thinkpad even better. graspbionichand liked OpenBionics Affordable Prosthetic Hands . Amos liked anaGoL - Conway's Game of Life the analog way. c.Invent liked MPRT - Modified planetary robotics transmission.